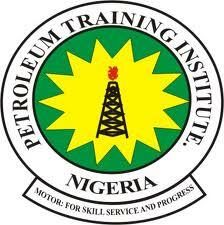 PTI Supplementary Admission List is Out | Petroleum Training Institute, PTI ND supplementary admission list for the 2018/2019 academic session. This is to inform all the candidates that applied for admission into the Petroleum Training Institute (PTI), Effurun, National Diploma (ND) programmes and also participated in the 2018/2019 admission screening exercise, but didn’t make it to the first batch admission list, that the management of the institution has released the supplementary admission list. PTI ND supplementary admission list has been successfully uploaded online. SEE : PTI ND First Batch Admission List. PTI ND Supplementary Admission List. See also: PTI School Fees Schedule for 2018/2019 Academic Session and PTI Registration & Clearance Procedure for 2018/2019 Newly Admitted Students. Successfully admitted ND candidates are advised to ACCEPT or REJECT the admission offer on JAMB CAPS portal – How to Reject/Accept Your Admission on JAMB CAPS.